Wat a dem de, mon? All over the city of Kingston, funny furry things have attached themselves to wires, street lights and fixtures. 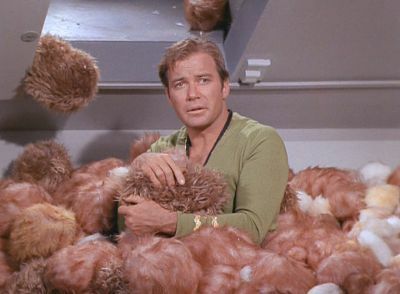 We call them tribbles, from the only old Star Trek episode that I know was meant to be intentionally funny. Remember, that one? Suspicious, though, that this may not be 100% accurate….I did a little online research. 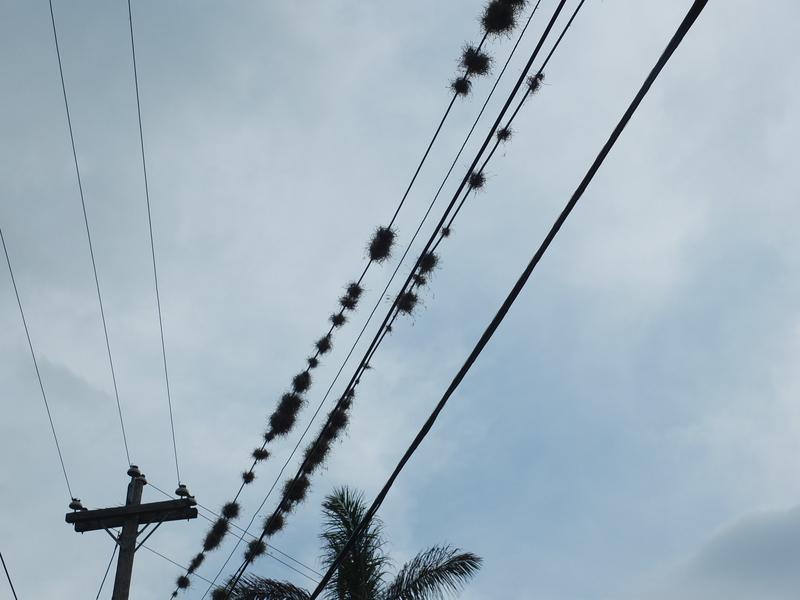 It turns out that aren’t fluffy aliens at all, but Tillandsia recurvata, commonly known as Ball Moss, which derives mainly physical support and not nutrition from its host (such as a telephone wire), and photosynthesizes its own food and absorb water that collects on its leaves. They typically rang in size from a golf ball to a soccer ball. Most seedlings germinate on tiny branches and less often on vertical bark of tree hosts, which has been suggested to indicate that local spread of Ball Moss is mainly by seeds sprouting from bird droppings on stems of shrubs and trees. So its kind of like one of those air plants that used to be so fashionable. I sort of prefer the tribble explanation though.